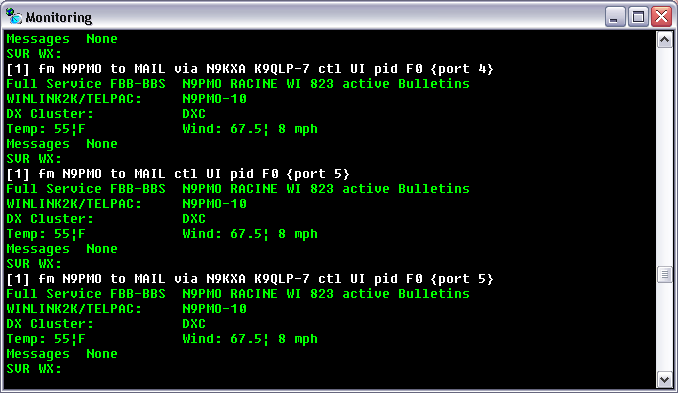 If you plan on using Weather Watcher please install APRSWW first following Jose CX2SA Instructions. Look over the Export Templates in the ReadMe.Hlp you can select more or less then I have in the included Beacon.txt file this file is what you place in the export template window the important thing is To scroll the window all the way down, the end of the file must be at the Bottom of the window No space between the last line and bottom or you will send out spaces in the beacon packet. When you done click apply and use the view export this is was it will go out like . The code Do Not have to be in a string but it takes a bit of playing with so your Beacon looks right. Click on the auto update Tab set for 5 min. 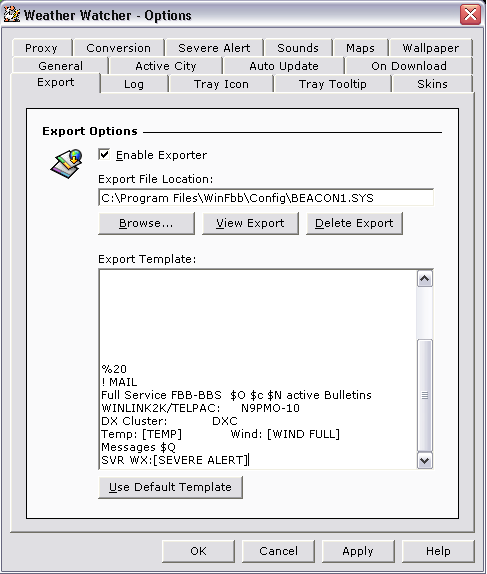 everything in the export window will over write The beacon1.sys. every 5 Min. you don’t need to restart FBB. Open The Help File i have included Find Export/Template Codes you may use any combination of codes to sute your use. I have not had the chance to see what happens with more then one Severe Alert this may make for a long Beacon, use your own judgment. 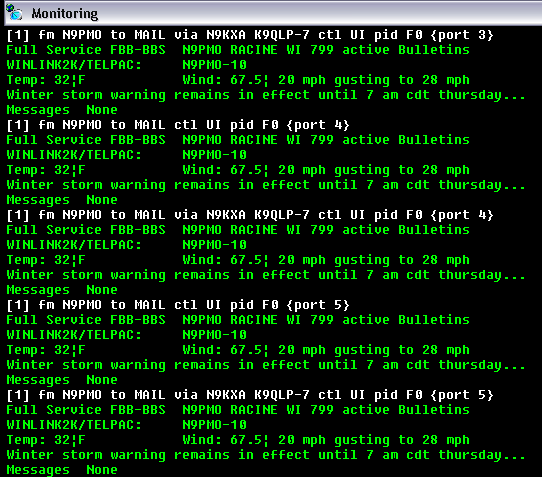 These will be beaconed out if one or more of the Alerts Accure, again this is up to the user.